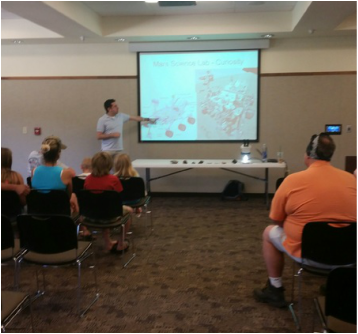 Dr Filiberto enjoys giving talks to the public about planetary exploration. Feel free to contact him to schedule a public talk or to learn more about where he will be speaking. Dr Filiberto giving a talk about Planetary Exploration: Planetary Research at SIU at the Eclipse Crossroads Astronomy, Science, and Technology Expo, Southern Illinois University, Carbondale, IL. August 2017.